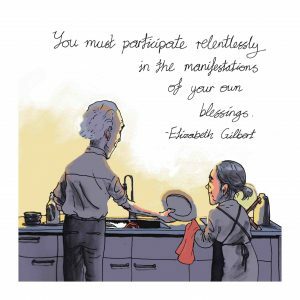 We love ending the week with one of our #MiniMeditations – every Friday afternoon, we reveal an image from Mini Meditations on Joy by Adam & Lisa Murphy or Mini Meditations on Creativity by Tillie Walden. It’s such a nice, positive way to draw a line under the work week (at least for those of us on a 9 to 5)! 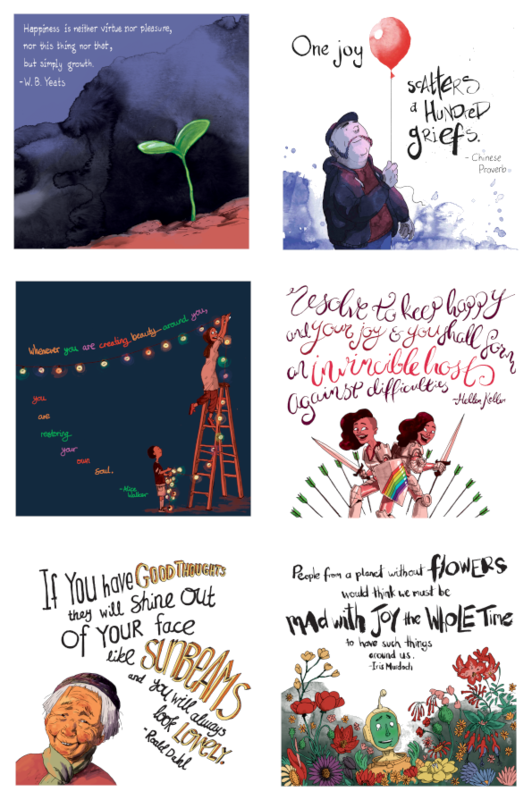 The amazing artistry of these illustrations speaks for itself… but what about the thinkers, writers and artists who gave us these inspiring quotes? We think the meaning goes even deeper when you know the human behind the thought. Recently, we profiled Brené Brown, and now we’re looking at Elizabeth Gilbert. If you’ve been keeping an eye on our social media, then you’ll know that we share our #MiniMeditations every Friday afternoon. We think it’s the perfect positive note to end the working week on. Who doesn’t need an uplifting boost after a long week – or any time, really?! Mini Meditations is our series of life-affirming quotes from the best historical thinkers, writers and artists. To bring these quotes to life, we bring in incredible comic artists who embody that subjects at hand. So far, we have two Mini Meditations titles on the schedule, but we have plenty more to announce! For those who have missed our image reveals, we’re rounding them up here for all to see! Adam & Lisa Murphy are the team behind the wonderful ongoing series for The Phoenix Comic: Corpse Talk, where historical figures reveal their stories, and Lost Tales, beautiful re-tellings of unusual and lesser known folk-tales from around the globe. Adam has run many workshops for adults and kids including appearances at the Edinburgh Book Festival, Hay Literary Festival and many primary and secondary schools across the UK. It’s an absolute delight for us to at last reveal the second in our Mini Meditations series, Mini Meditations on Joy by Adam and Lisa Murphy. 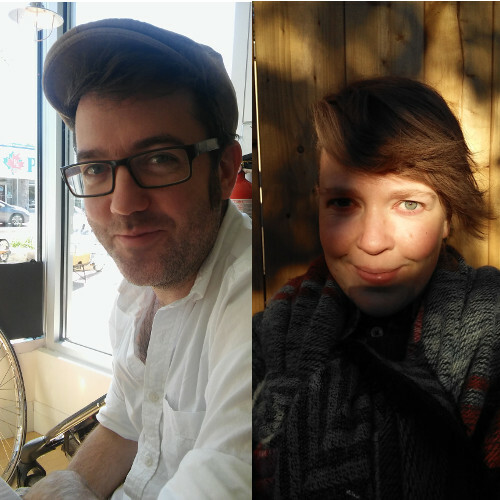 Adam and Lisa, the creators of the fabulous ongoing series for the Phoenix Comic, Corpse Talk and Lost Tales, bring you a curation of quotes from historical writers, thinkers and artists on the universally uplifting theme of Joy. An outright treasure! Please join us in the months leading up to the autumn 2018 release as we proudly unveil images both from Mini Meditations on Joy and Mini Meditations on Creativity. Follow us on our various social media to see images from this book as they are released. And sign up to our newsletter to hear about when it opens for pre-orders and for other exclusive offers! An exuberant and life-affirming illustrated journey through quotes from famous historical thinkers, writers and artists on the universal and essential subject of Joy. The wonderfully talented Adam and Lisa Murphy provide the perfect visual accompaniment to the inspiration of delight. Follow Liminal 11 on social media to see preview images from the book as they are revealed!